Like K-Pop music and spicy fried chicken, skin care and beauty products from Korea are flooding the American market. U.S. sales of K-beauty products, as they’re called, have increased by almost 300 percent in the past two years alone. Similar products from U.S.-based retailers like Soko Glam, Glow Recipe and Peach & Lily also give Americans access to the ever-growing K-beauty market, without the hassle of a 14-hour flight to Seoul. Over the past three years, EWG has worked with almost two dozen Korean beauty companies through our EWG VERIFIED™ program. 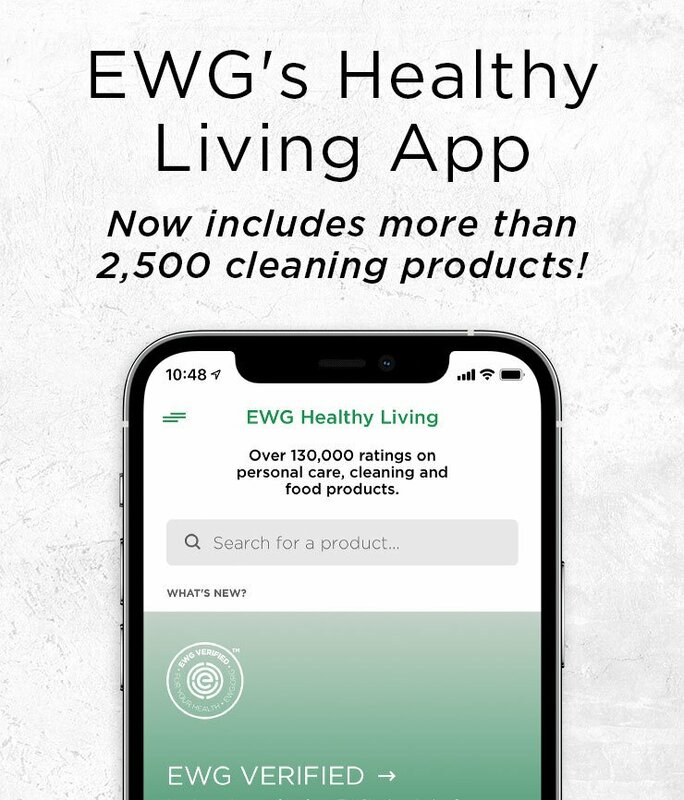 EWG VERIFIED™ was started as a way to drive companies to create healthier products. The EWG VERIFIED™ mark identifies the products that meet our strictest criteria for health and transparency. What exactly are serums and essences? Why are some of these products so expensive? Do ingredients commonly used in serums and essences pose any potential risks to your health? Are some choices smarter than others? U.S. sales of Korean beauty products has increased by almost 300 percent in the last two years. 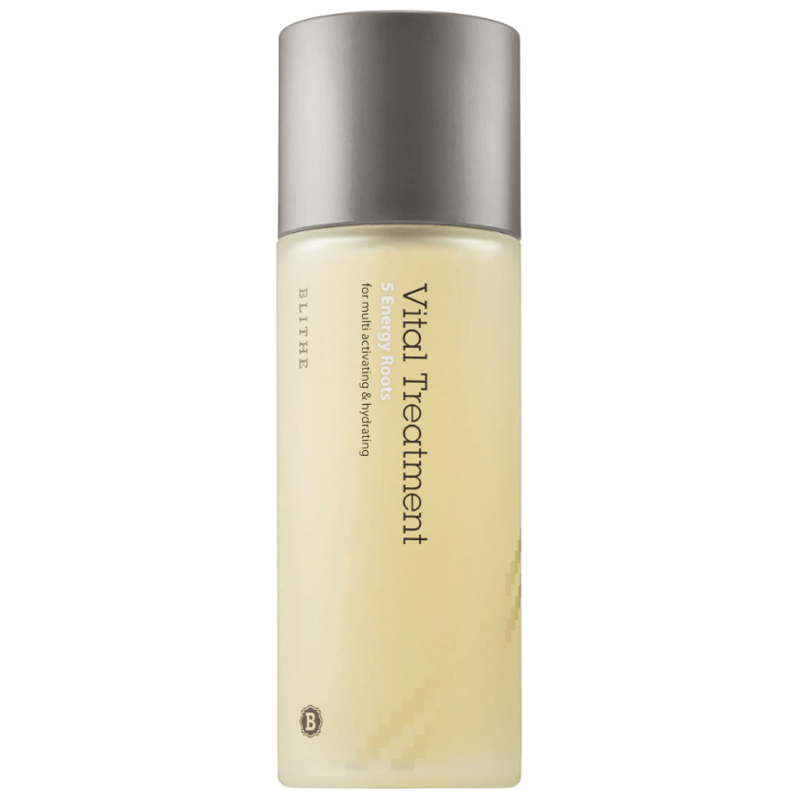 So what are serums and essences? It seems the difference is mostly a matter of marketing in different parts of the world. 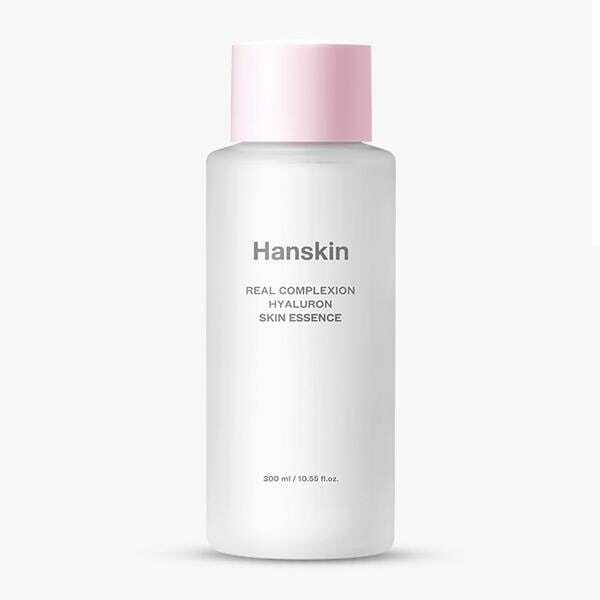 Westerners are more familiar with the term “serum,” and the term “essence” is more common in Korea and other Asian beauty markets. But as more Asian products are imported to the West, the terms seem to be used interchangeably. 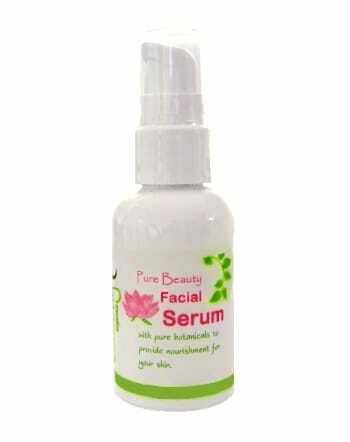 Serums and essences are concentrated skin care products that target specific concerns and needs. 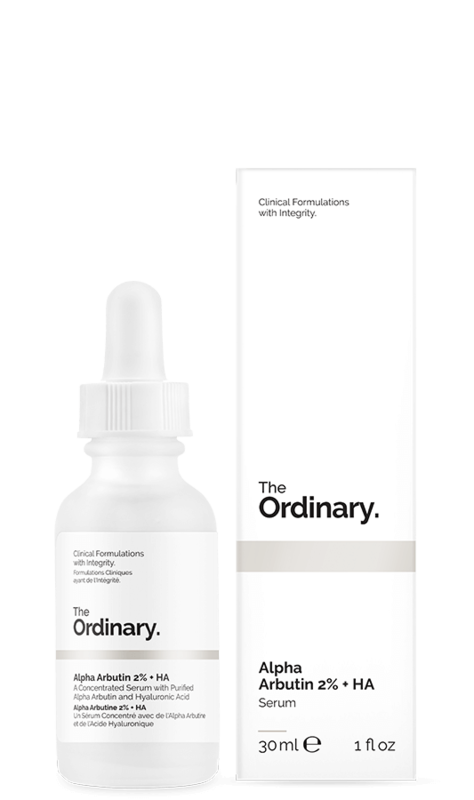 Serums target specific issues like age spots or hyperpigmentation, in which patches of skin become darker than the normal surrounding skin. 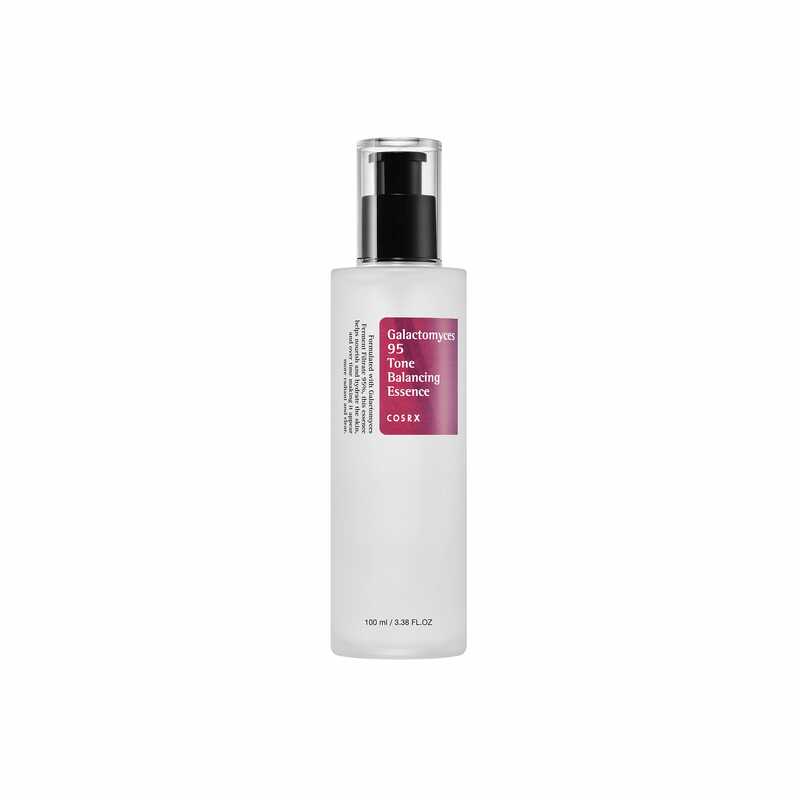 Essences hydrate and prep the skin to better absorb other products applied to the face. 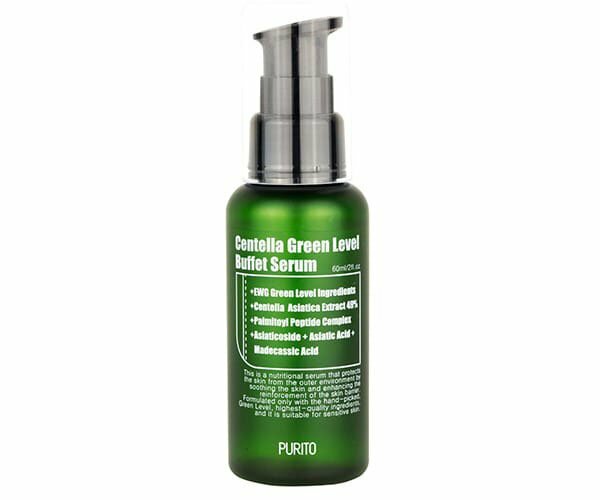 Essences usually contain fermented ingredients and tend to have a thinner, more watery consistency, whereas serums are thicker. 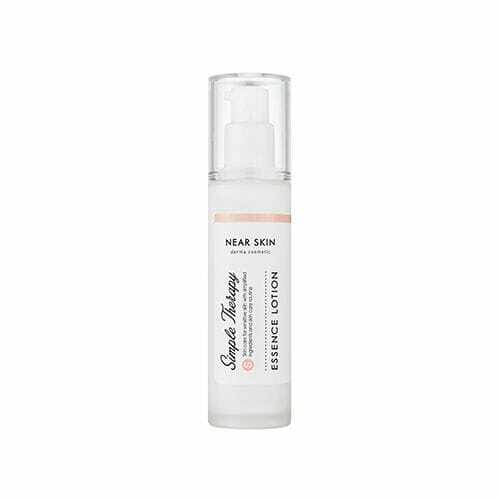 All of the resources we reviewed advise that serums and essences should both be used after toning and before a moisturizer morning and night to aid in hydration and promote glowing skin. EWG assessed 352 serums and essences of varying price points, some from Korean companies and others from brands based in a number of other countries, including the U.S. We noted the presence of highly hazardous ingredients in each product as well as their overall product score in EWG’s Skin Deep® cosmetics database, a free online resource for finding less-hazardous alternatives to personal care products. Skin Deep® compares product ingredients to the information in more than 60 toxicity and regulatory databases and scientific studies, and rates the products from 1 (lowest hazard) to 10 (highest hazard). 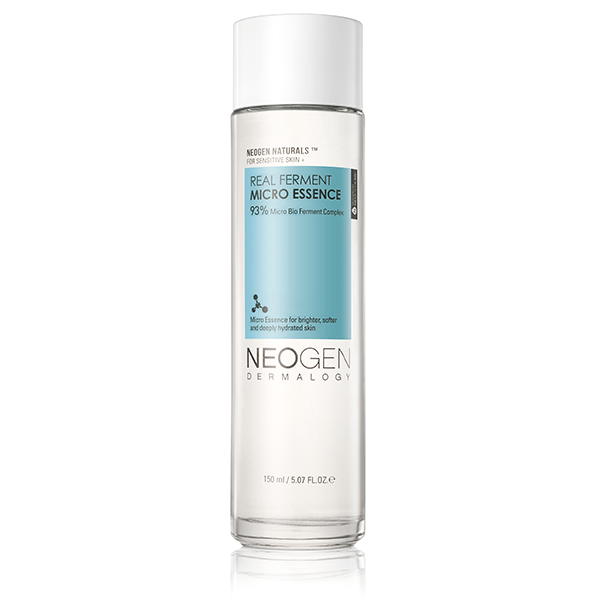 With the addition of the products analyzed for this report, Skin Deep now rates more than 64,000 products. More than half of the serums and essences scored moderately in the Skin Deep® database, with the average product scoring 4. 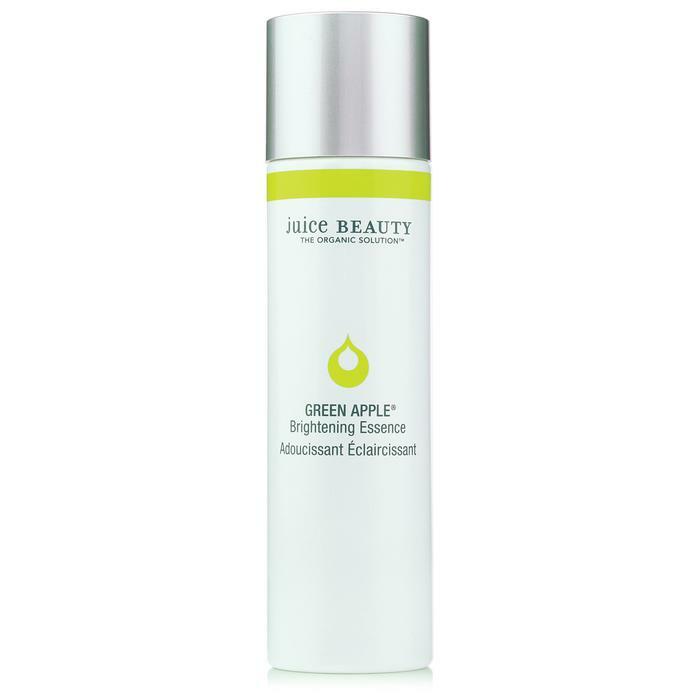 Almost 40 percent of the products scored in the green range, indicating that they were formulated with less-hazardous ingredients. Fewer than 10 percent, including some from popular high-end brands like La Mer, scored in the red range, because they contain more hazardous ingredients. The total number of ingredients differed greatly from product to product, with some having as few as two ingredients and others having close to 120. 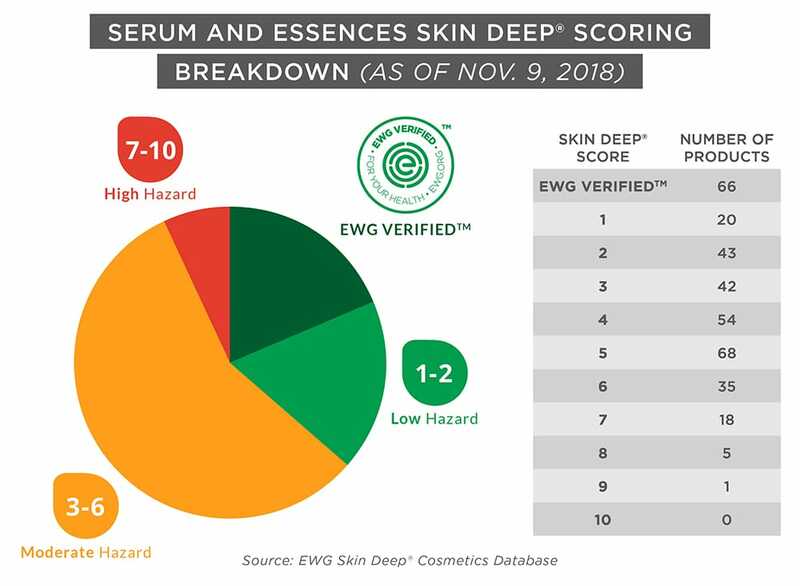 On average, the serums and essences with fewer ingredients were among the best scoring in Skin Deep®, whereas those with 80 ingredients or more were among the worst scoring. The most common ingredient was water. But some of the products contained potentially hazardous ingredients, including parabens, associated with endocrine disruption; chemicals linked to reproductive harm and carcinogenicity, such as hydroquinone; and a number of potent allergens. 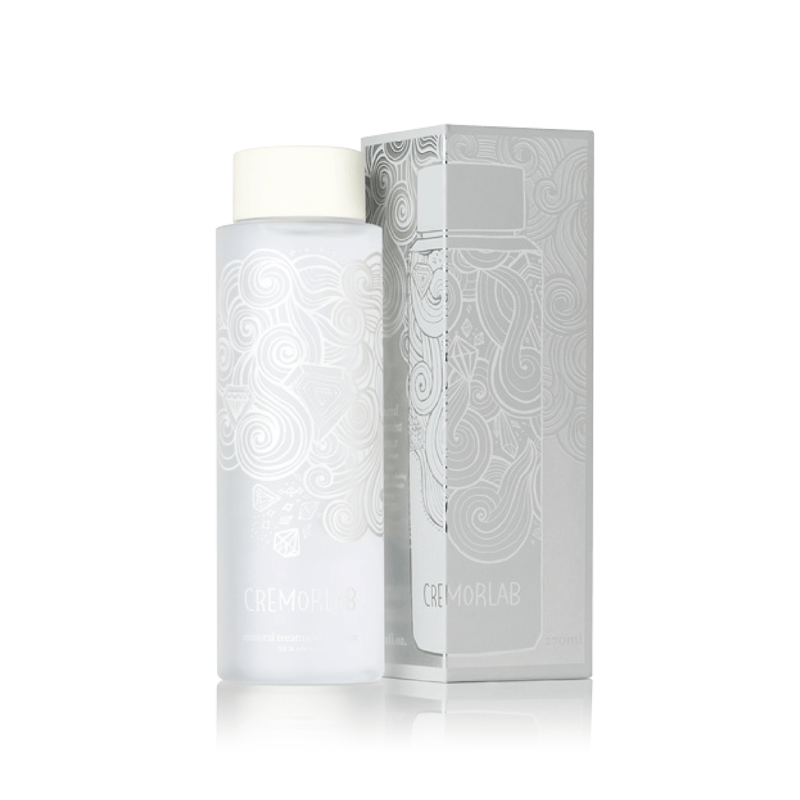 Nearly half of the serums and essences contained “fragrance” or “parfum,” which can be a mixture of any number of more than 3,000 ingredients. 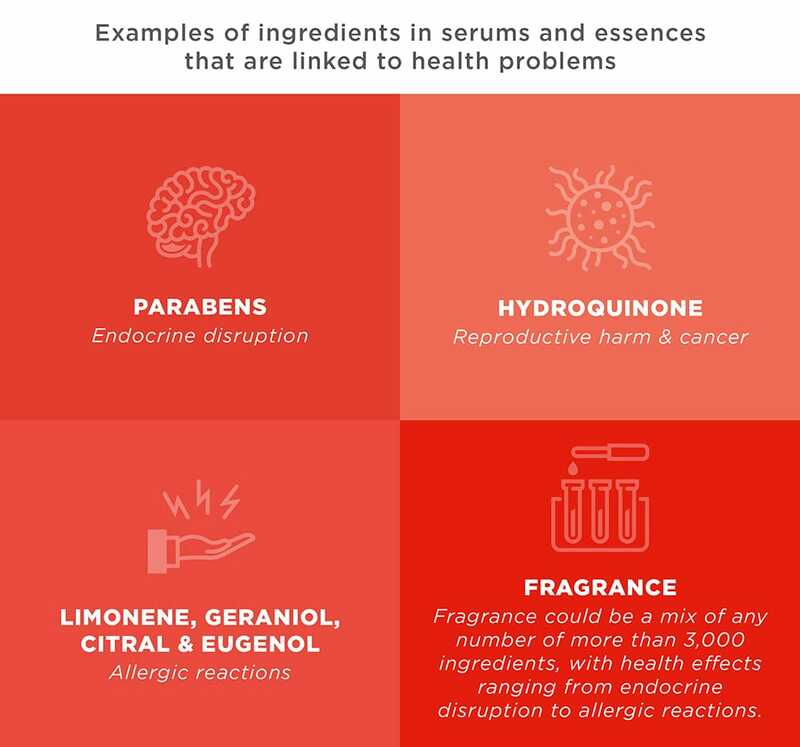 Some fragrance chemicals have been linked to health harms. Phthalates, for example, which can be used in “fragrance,” can affect thyroid function and have been linked to abnormalities in the reproductive system of young boys and men. Almost a quarter of the products we assessed contained fermented ingredients, including extracts and filtrates. Some experts claim that these ingredients help the skin to better absorb skin care products, and reduce the potential for skin irritation, since fermentation can neutralize potentially toxic chemicals like pesticides. 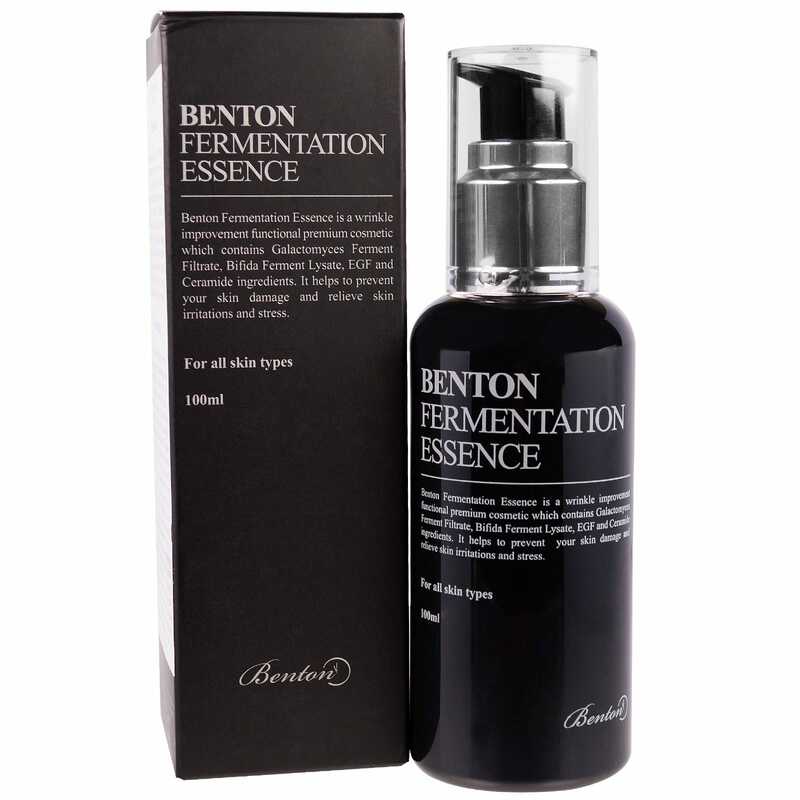 Fermentation is commonly used in the food industry as a means of preservation and it may have similar effects in personal care products. 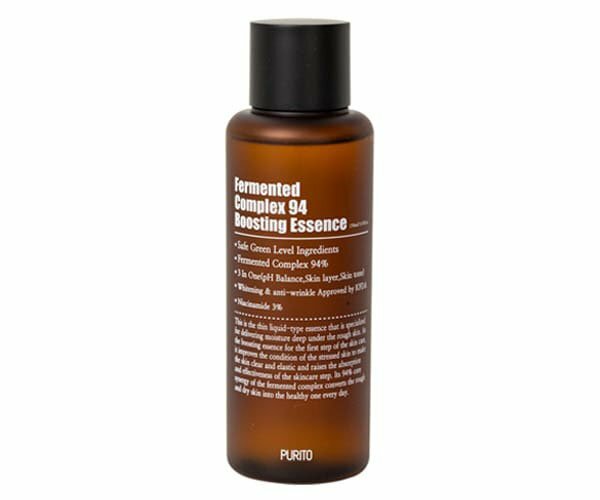 Our analysis indicated that serums and essences with fermented ingredients were less likely to contain potentially hazardous chemical preservatives, such as parabens. Overall, although these ingredients may have some notable benefits, we were unable to find many studies assessing their safety in personal care products. 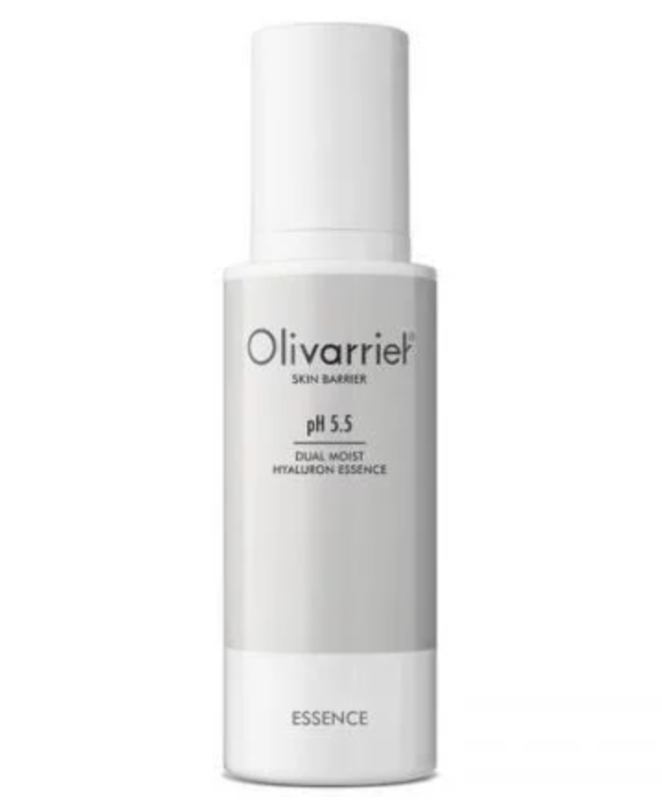 Serums and essences can be quite pricey. The average cost of products we assessed was more than $57 per fluid ounce, with some products priced as high as $640. Interestingly, those with fewer hazardous ingredients were cheaper on average than the others assessed. 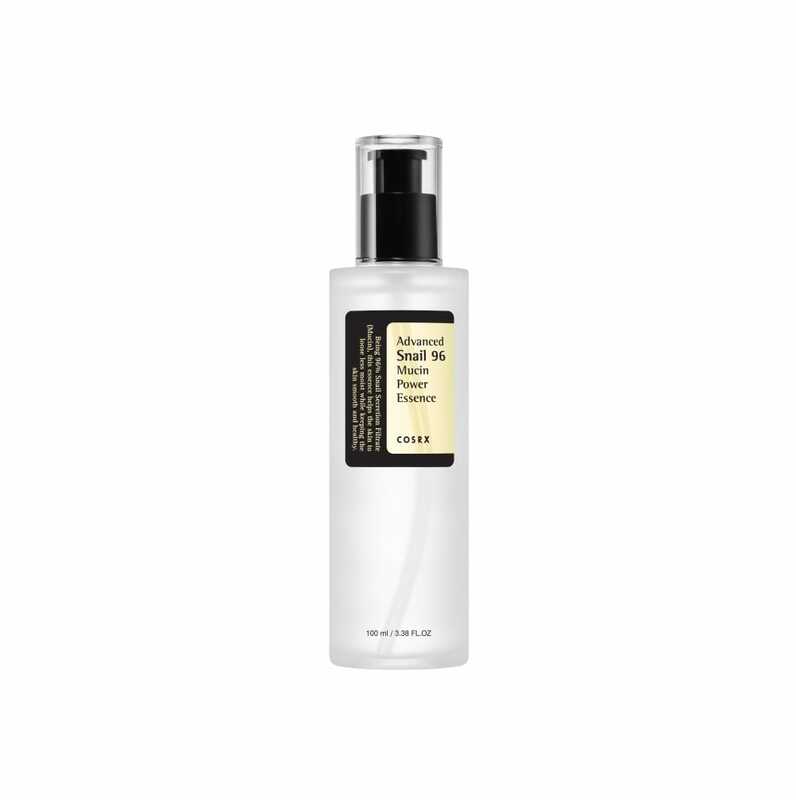 These products, with the best Skin Deep scores, had an average price of about $45 per fluid ounce, whereas the ones with the worst scores had an average cost of about $103 per fluid ounce. 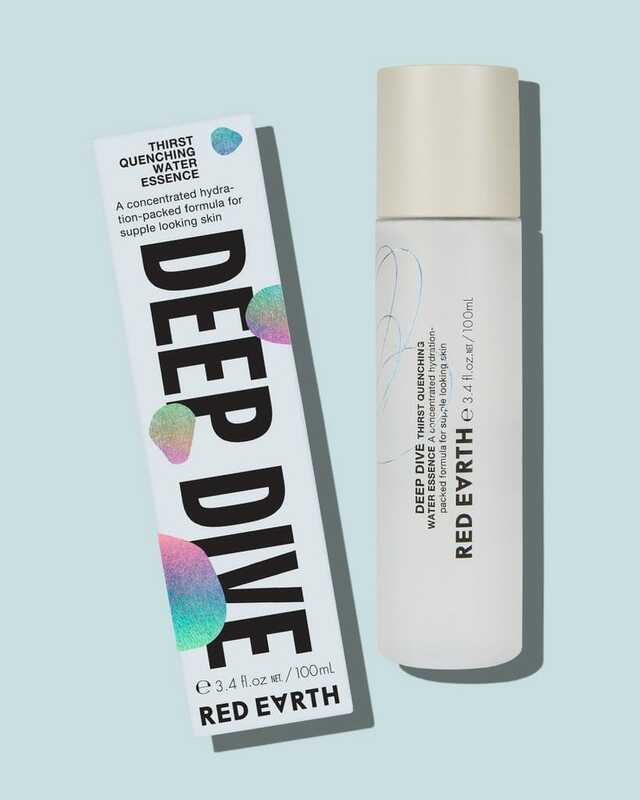 Fifty-one of the products we examined cost $10 or less per fluid ounce, and of these, 19 products scored well in Skin Deep®, including five EWG VERIFIED™ products. These products are our “Best Bets”. See full Best Bets list here. To see the full list of essences and serums we assessed, visit the Serums & Essences category in Skin Deep®.